Bicyclists in Allen County are celebrating another amenity to their trails, the addition of decorative archways in Humboldt and Iola. 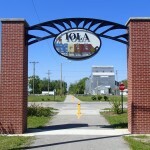 New wayfinding signs have been installed in Iola along the Prairie Spirit Trail and the Southwind Rail Trail. June 6th is National Trails Day, and is a great opportunity to ride your bike on one of the many outstanding trails in the Sunflower State. 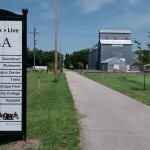 News about the Andover-Augusta Rail-Trail Initiative, Naismith Trail, Haskell Rail-Trail, Western Sky Trail, Flint Hills Nature Trail and more trail news from the Sunflower State. Flint Hills Nature Trail Construction, Trans-America Trail, Blue River Rail Trail, Prairie Sunset and Redbud Trails, and more trail news from the Sunflower State. 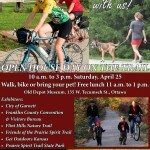 The annual Trails Open House event will be held this year in Ottawa, Kansas, and will highlight the Prairie Spirit Trail and the Flint Hills Nature Trail, which meet in Ottawa. 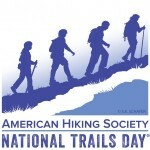 Flint Hills Nature Trail Construction, GetOutdoorsKansas.org, Badger Creek Mountain Bike Trail, Fredonia South Mound Trail, and more trail news from the Sunflower State. The Sunflower Foundation has announced a new Request for Proposals to build trails in Kansas. The application deadline is March 11, 2015. 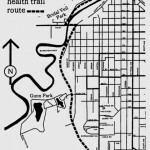 In 1981, leaders in Fort Scott, Kansas turned down $129,000 from the Federal Bicycle Grant Program, which would have created a 2.3-mile bikeway on a former railroad line. The Future of Rail-Trails in America, Flint Hills Nature Trail Construction Announced, Haskell Rail-Trail Construction, and more trail news from the Sunflower State.